Palad in surveyed 550 investors to determine why they used a Paladin Investment Performance Benchmark to monitor their financial advisors’ performance. Following is a brief description of the top four reasons. Experienced investors know relative performance is a lot more important than absolute performance. For example, their 10% absolute return for their stock portfolio sounds good until they compare it to the stock market return that was up 20%. On a relative basis their 10% return was half of the market’s return. People rarely invest all of their assets in one type of security, for example, large capitalization U.S.stocks. They believe advisors who tell them to diversify their investments to minimize the risk of large losses. However, diversification creates a problem for investors who compare their results to index funds. How do they compare their diversified portfolio of stocks, bonds, REITs, and foreign securities to the S&P 500 – a large capitalization U.S.stock index fund? They can’t. They would be comparing a basket of fruit to one type of apple. Paladin’s Investment Performance Benchmarks have up to 9 asset classes to reflect the results of diversified portfolios of securities. When it comes to investing, one size does not fit all. At one end of the spectrum are investors who are willing to take substantial risk to earn higher returns. At the other end of the spectrum are retirees who take little or no risk to avoid losses. Paladin provides 5 Investment Performance Benchmarks ranging from Capital Preservation to Maximum Growth. Investors select the Benchmark that most closely matches their tolerance for risk. For example, investors in their 30’s select higher risk Benchmarks than investors in their 60’s. There is one rule that applies to almost all financial advisors. They do not like to report information that can get them fired. At the top of the list is bad investment performance. Advisors use several sales tactics to minimize their accountability for the investment results of their financial advice. Paladin is the objective third party. All of its services to investors are free so it has nothing to gain or lose. Its role is to report the monthly, quarterly, year-to-date, and annual performance of its five investment performance Benchmarks. Advisors are more accountable because investors select the applicable Paladin Benchmark, not advisors. 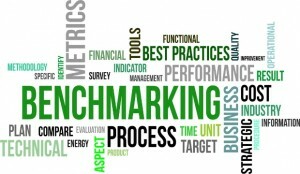 Advisors outperform the Benchmarks or they don’t. Investors use this information to make their advisor retention and replacement decisions.